May 25, 2011  Pearl Jam's lead singer wrote the songs for a new album by himself over the last two decades. May 25, 2011  For his second full-length solo album, Pearl Jam's singer has taken up one of the most useful creative tools available: limitation. 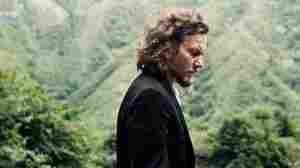 It's embodied in a little finger-strummed thing that Vedder picked up during a beer run in Hawaii nearly 15 years ago.